Located in the foothills of the Gaviota Coast, Condor Ridge Ranch presents its clients with generous outdoor settings with mountain, island, and ocean views. Rustic in style, the beautiful venue is tucked away in between organic subtropical fruit trees. Condor Ridge Ranch hosts Goodland Organics and is proud to grow the first coffee in all of California. 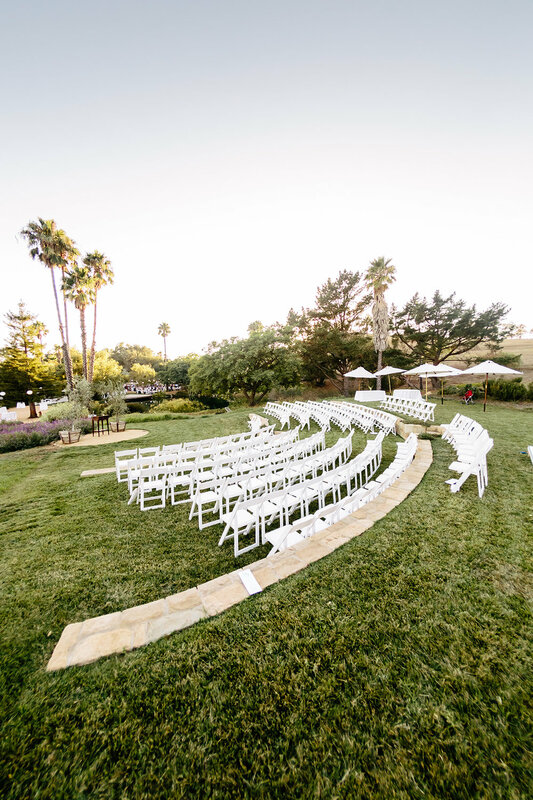 Condor Ridge Ranch offers an amphitheater for wedding ceremonies or concerts. A large landscaped area surrounding a koi pond is the perfect place to host dinner and after wedding dancing. This is a ceremony venue. Barn with 3 restrooms, mezzanine meeting or getting ready space and catering capacity. Can also be used for a indoor bar/dancing location or as indoor cocktails and dining for a small group. Weekend of the event is available for load in and out. Back to back events are a potential for added fee. Parking available: Parking is for event hosts and staff. Guests are required to shuttle. Decorations: No open flames will be allowed at this venue. Candles in hurricanes or votives are acceptable. No sparklers or smoking. Alcohol policy: Alcohol must be served by a vendor that is licensed to serve alcohol. Cancelation Policy: Full refund is available if host is able to re-let the facility.